The BossMeet The Boss. 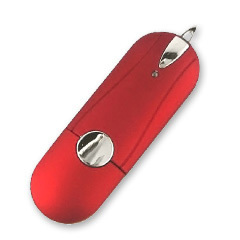 This bold promotional USB drive has a hard plastic body mixed with metal accent pieces. With two contour lines running across the body of the drive this Boss flash drive looks and feels solid.